As a treble Olympic Champion and quadruple World Champion, Andrew T Hodge is one of the most decorated members of the GB Rowing Team and was awarded an MBE in the 2009 New Year's Honours list. The former Oxford Blue is the longest-serving rower in the men’s heavyweight squad, having made his senior international debut back in 2002. He missed the 2015 season through illness but made a strong comeback to compete at his fourth successive Olympic Games in Rio and add another gold to his incredible collection, this time with the men’s eight. Andrew T Hodge returned to the squad in 2016 and earned selection in the men’s eight, winning a bronze medal at the European Championships in Brandenburg after GB took third place on the line. Alan Sinclair subbed in for the ill Pete Reed for the Lucerne World Cup, where GB finished fourth. 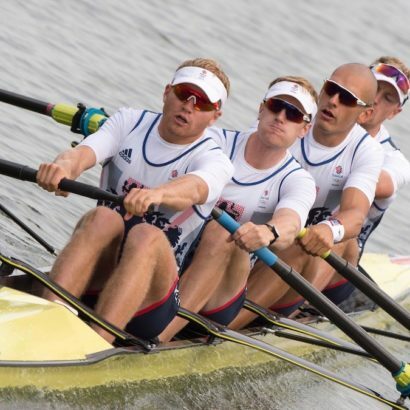 Pete returned for the World Cup in Poznan, where the GB eight enjoyed a good tussle with the Olympic champions from Germany on their way to a silver medal. The eight saved their best until last, winning their Olympic heat in fine fashion before producing a devastating performance in the final to lead from the front and record an emphatic victory to be crowned as Rio 2016 gold-medallists. Andrew started the Rio Olympiad with back-to-back World Championship gold medals in different boats. 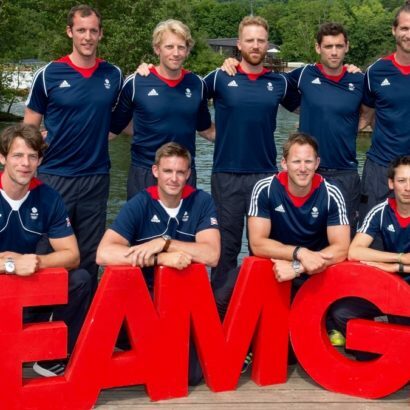 Along with Pete Reed and Alex Gregory, he was switched from the men’s four in the wake of their London 2012 Olympic success to the men’s eight for 2013. And it proved to be a successful change as Andrew helped secure a historic first-ever World Championship gold for a British eight. He was back in the four the following year, joining Alex, Moe Sbihi and George Nash in a crew that remained unbeaten throughout 2014. After securing a first European Championships title of his career, Andrew also won gold at the World Cups in Aiguebelette and Lucerne before producing an outstanding clear-water victory at the World Championships in Amsterdam. When Andrew retained his Olympic title with the men’s four at London 2012, it continued a rowing career laden with medals. 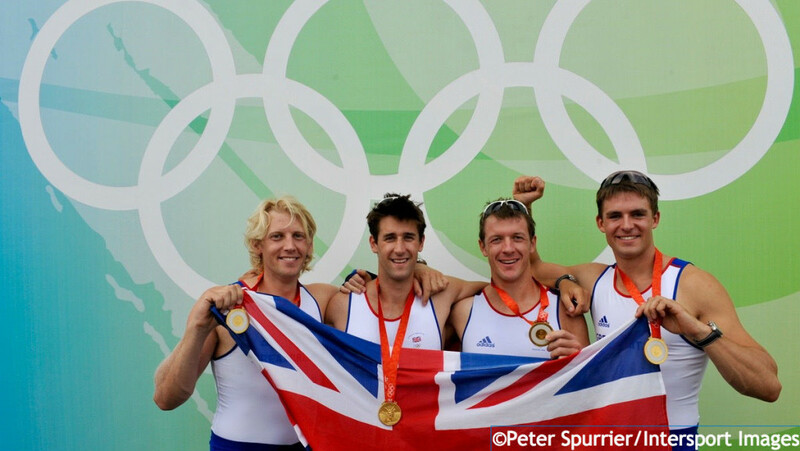 The first three seasons of the London Olympiad saw Andrew and Pete Reed contest the men’s pair, winning a host of World Cup medals but having to settle for silver at the 2009, 2010 and 2011 World Championships. Both returned to the men’s four for the 2012 season, joining Tom James and Alex Gregory, and won back-to-back World Cup golds in Belgrade and Lucerne before narrowly losing to Australia in Munich. However, they avenged that defeat in style at London 2012 – leading from start to finish to win one of six Team GB gold medals on Super Saturday. It was while studying Environmental Science at the Stoke campus of Staffordshire University that he first took up rowing, saying he wanted to participate in an athletic sport that was “more serious than rugby”. 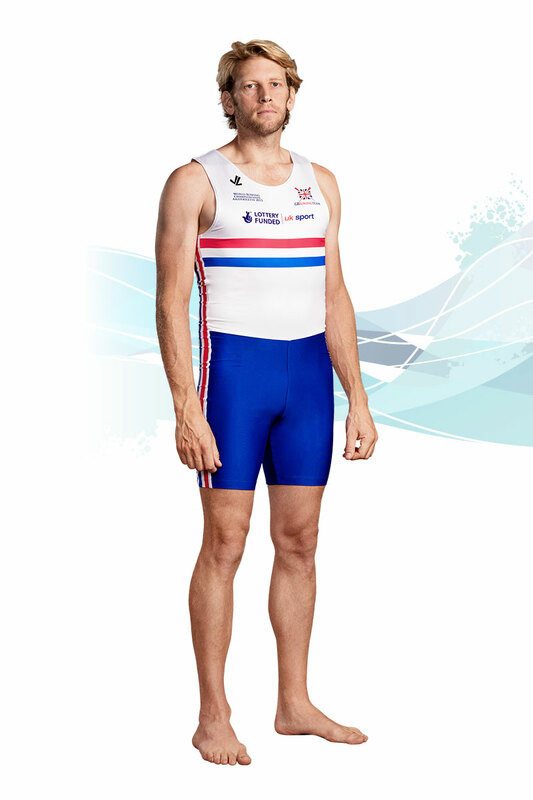 He joined Molesey Boat Club after graduating in 2000 and was selected to represent GB at the World U23 Championships the following year, finishing sixth in the coxed four. Andrew progressed to the senior men’s eight and won a bronze medal at the 2003 World Championships in Milan. However, illness affected the crew during the 2004 Olympic Games in Athens and they had to settle for ninth place overall. The following year saw Andrew switch to the men’s four and he stroked the boat throughout the Beijing Olympiad. A phenomenally successful 2005 saw the crew of Andrew, Pete Reed Alex Partridge and Steve Williams win the World Championships and three World Cup golds. The four repeated that achievement in 2006 and were unbeaten for 27 races in total before finishing runners-up at the World Cup in Lucerne in 2007. Fourth place at that year’s World Championships and a difficult start to the 2008 season followed but, by the time of the Beijing Olympics, the GB four had re-established themselves as serious contenders. In a dramatic final, Andrew, Pete, Tom James and Steve Williams made a late push to overhaul Australia and win a memorable gold. Andrew was awarded an MBE in the 2009 New Year’s Honours list. Andrew studied a Masters in Water Science, Policy & Management at Oxford University and stroked the Dark Blues to victory in the Boat Race in 2005. Among his crew-mates was future fellow double Olympic Champion Pete Reed. During his time at Oxford, Andrew developed an association with Thames Water that has grown into an ambassadorial role supporting the company to make the tideway a better place to row. 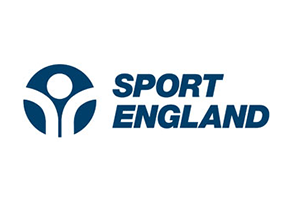 He is passionate about anti-doping and the pursuit of clean sport and, in September 2013, was appointed to the UK Anti-Doping Athlete Committee. In 2013 he was awarded Olympic Athlete of the Year for the sport of Rowing and led the World Rowing Top 10 list for male rowers. Andrew is also a keen supporter of the World Wildlife Fund and is one of the charity’s UK bloggers. Andrew is Lottery Funded through UK Sport. 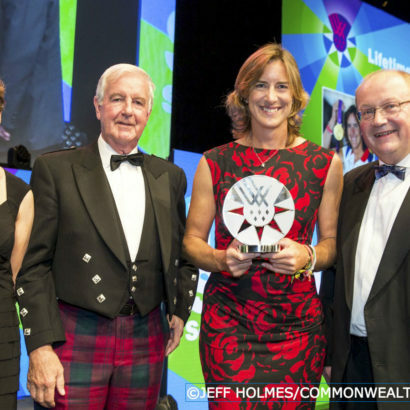 Rio 2016 Olympic heroes Heather Stanning and Katherine Grainger were honoured at the 2016 Team Scotland Scottish Sports Awards in Edinburgh on Wednesday. 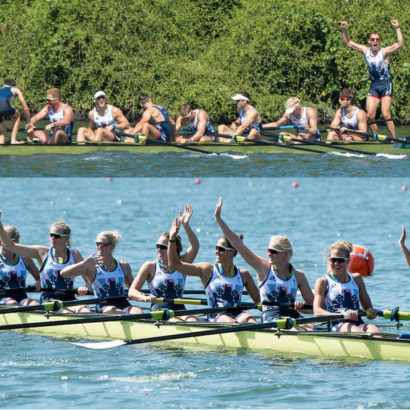 The GB eights brought the Rio 2016 Olympic regatta to a glorious conclusion as they won gold and silver in the space of 30 minutes on another truly Super Saturday. 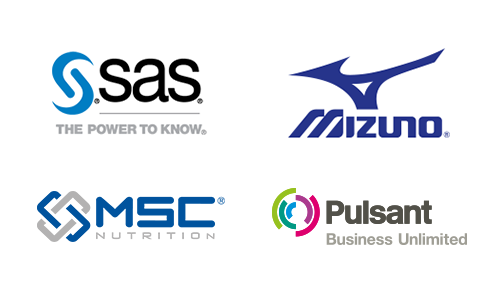 The British Olympic Association has today announced the rowers who will race in the men’s eight at this summer’s Rio 2016 Olympic Games in a line-up bristling with World and Olympic Champions and medallists.